In the Bible, Matthew 22 says, "Teacher, which is the great commandment in the law?" Jesus said to him, “You shall love the LORD your God with all your heart, with all your soul, and with all your mind.” "This is the first and great commandment. "And the second is like it: 'You shall love your neighbor as yourself. "On these two commandments hang all the Law and the Prophets." It doesn’t sound all that complicated, does it? Well, it seems some people in Concord, North Carolina are finding that part of the Bible particularly hard to live with. The Shower of Blessings Church in Concord, North Carolina has learned that their neighbors are finding the commandment to “love they neighbor” very hard to do. It started when neighbors found out that for the past 18 months, the church has been giving a safe place to stay for several homeless families. The neighbors are upset because no one told them that the church would be providing shelter for these people. When many people think of the homeless, they think of the negative vision we’ve seen. It is associated with crime, drug use, poverty, being lazy and unemployed among other things that no one wants to live near. However, in today’s economy, the homeless person could be someone that has simply had a terrible setback in life that has temporarily knocked them down. Brendan Spaar has found that these are the people being helped at My Father’s House in The Shower of Blessings Church. In case you’re wondering, representatives of the ministry have reassured the community that the people being helped are not the scary visions we’ve seen on the news in other inner cities. "These are families from our communities that may have experienced job loss,” Ed Hosack, CCM executive director, said. “There may have been medical bills, the break up or loss of a family member." Mr. Hosack went on to say that all of the residents remain engaged in purposeful, intentional activities and "most of them go to work each day." Residents are screened and drug tested and the facility has 24-hour management. 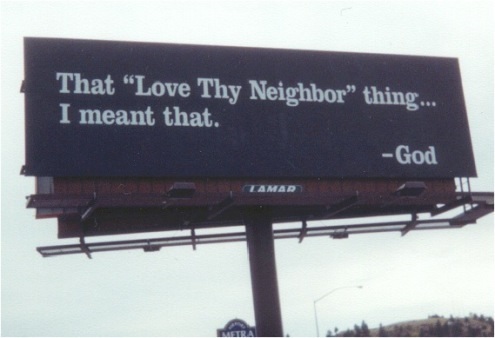 Brendan Spaar believes that "Love thy neighbor" is not as hard as it seems. It simply means respecting others and regarding their needs as highly as we regard our own. How can we learn to “love” the guy next door with the barking dog or loud stereo, especially when we don't even like him? Maybe we should understand that our neighbor, whether it's the guy next door, the cashier at WalMart, or the person next to us at church, is as worthy of compassion as any of us.